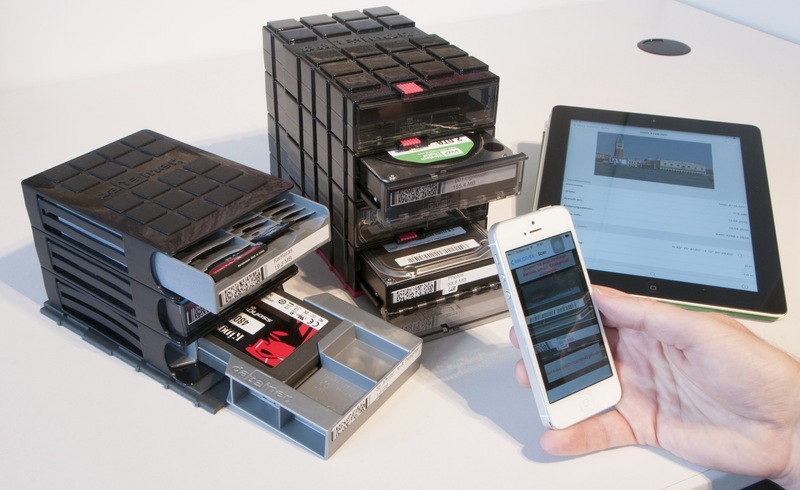 Wouldn’t it be wonderful if NeoFinder would also integrate with a modular storage device organzier? NeoFinder was always about making your data storage life easier. Now we went just another step, and we can help you with storing your actual physical media, too. The latest version of NeoFinder – for years one of the most remarkable professional media management solutions on the Mac – now also offers 2D barcode-based catalogue data management and printing. The markers of cataloged media (hard disks, SSDs, flashcards...) can now be printed as scannable barcodes and plain text on widely available labels applied to the physical media, thus turning piles of anonymous hard disks, etc. into easily browsable media libraries. 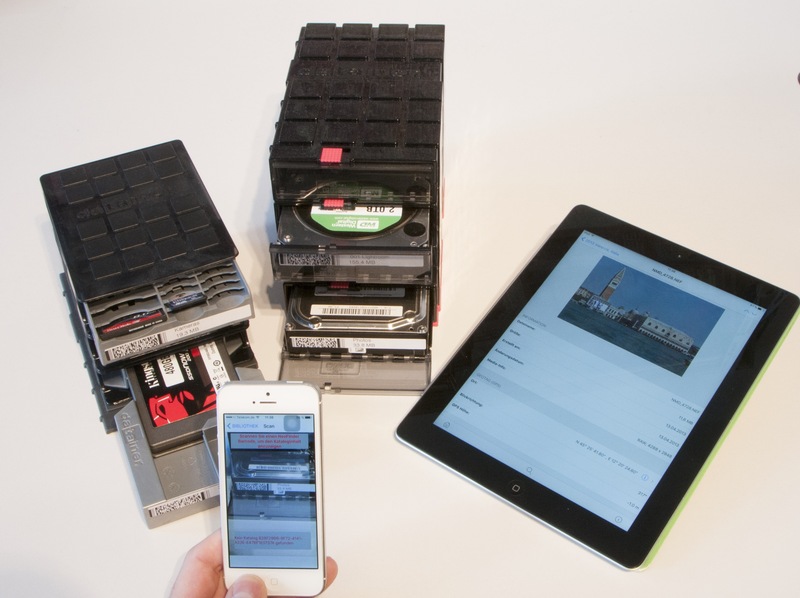 Datainer represents the practical “hardware environment”: this modular, expandable storage system provides safe, secure and easy-access storage for virtually all media formats – and it’s barcode compatible: the barcode labels can be scanned through the translucent front flaps. 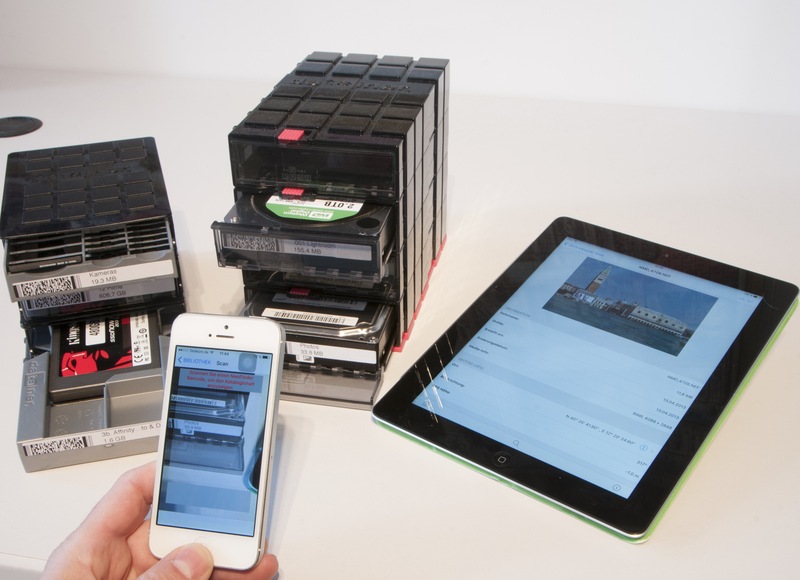 The icing on the cake for users of the latest version (iOS 1.9) of NeoFinder for iPhone and iPad is the ability to scan barcodes and instantly display the contents of catalogued media: this saves time locating films, images, documents and other data. Windows users can use a very similar solution in the NeoFinder companion for Windows: abeMeda. How does this work? The NeoFinder Users Guide has more about it!